Mike Fata, CEO and Co-Founder of Manitoba Harvest, has a passion for sharing the health benefits of hemp with others. Once weighing in at over 300 pounds, Mike discovered a new level of energy after eating hemp foods. Because of omega-3s, digestive proteins, vitamins, minerals, and fiber, hemp provides an extra boost to a regular diet. I recently had the opportunity to try shelled hemp seeds, also known as Hemp Hearts, from Manitoba Harvest. With all of the above mentioned health benefits, they are appropriately named Hemp Hearts. In additional to providing omega-3s, shelled hemp seeds are rich in Omega-6, or gamma-linoleic acid (GLA). Omega-6 is known to help support healthy hair, nails, and skin. As the only vegetarian source of complete protein, Hemp Hearts are also an important food for vegetarians. Grown without the use of fungicides, herbicides, and pesticides, Hemp Hearts are friendly for the environment. They do no contain additives and preservatives. Their facility also does not process dairy, soy, nut, or gluten products. Hemp Hearts is something new for our family pantry. It is suggested that you try them with salads, yogurt, cereal, or blend them into a smoothie. Because the outer shell has already been removed, the Hemp Hearts are ready to eat as is. You do not have to worry about grinding them. I chose to mix them into strawberry yogurt. The yogurt was enhanced with a rich nutty taste. They blended smoothly into the yogurt and were not crunchy. I preferred the taste and expect that I would also enjoy Hemp Hearts in a salad or with oatmeal. I like the fact that they are so easy to mix with foods that I enjoy throughout the week. 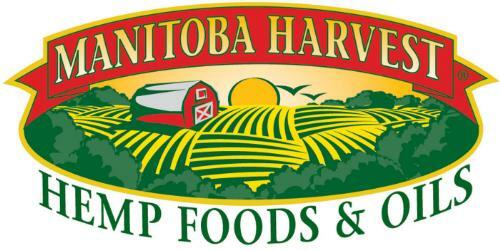 If you would like to find out more about Manitoba Harvest, you can visit their site at www.manitobaharvest.com. Visit the Manitoba Facebook and Twitter pages. One reader of Our Virginia Home will have the chance to win a bag of Hemp Hearts courtesy of Manitoba Harvest. The giveaway will be held June 17th through July 9th, 2012. Using the Rafflecopter form below, complete at least one entry. Our Virginia Home received the product mentioned for the purpose of a review. However, only honest opinions were expressed. I learned that they are the largest vertically integrated hemp food manufacturer in the world. Since they have control over the product from seed to final product this allows them to control quality. They also do quality control checks. I learned that their hemp seeds are cold pressed which is wonderful! It allows the oil of the seeds to be used in their products like thier protein powders. Hemp is a complete protein providing your body with all the essential amino acids it needs! Manitoba is the largest producer of Hemp in the US and do quality control checks from seed to finished product! They produce hemp with attention to detail and quality from start to finish. They have integrity and thoughtfulness in growing and manufacturing hemp and do quality checks to ensure safety too. I learned that they use a cold press to keep the oils at their best.